In a hydroponic growing system, plant roots are suspended in a water-based solution that’s been enriched with all the nutrients and organic compounds the plant needs to grow. Instead of soil, a reservoir is used to house the nutrient solution and the plant’s roots, and a small hole is created at the top of the enclosure for the plant to grow. Hydroponic systems can be made at home using Tupperware or jars, or created as commercial-scale operations that support thousands of plants. In both instances, it’s vital that the nutrient-rich solution remains shielded from sunlight to prevent the growth of harmful algae and fungi. Within the field of hydroponics, a variety of different techniques and substrates are used to help irrigate, aerate, and nourish the plants. The most basic form of a hydroponic system is a static solution culture. Even though the nutrient solution must be tested and replenished on a regular basis, this type of system is “static” because the solution itself isn’t circulated or drained. Other popular hydroponic techniques such as continuous-flow solution culture and aeroponics operate by circulating the nutrient solution through the roots or draining and refilling the vessel to improve root aeration. The greatest benefit of hydroponic systems is their ability to accelerate the growth rate and potential of plants. Because the nutrient-rich solution provides the plant with all its nourishment, it doesn’t need to expend energy lengthening its roots or harvesting nutrients from soil. Instead, it grows upward with greater speed. 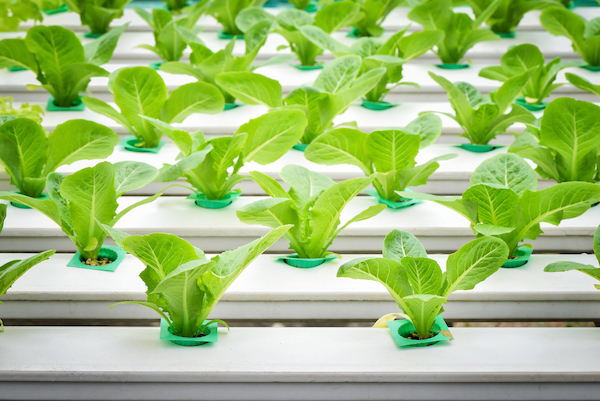 Because hydroponic systems are shielded from light (and therefore less prone to evaporation), they also require less water than soil-based solutions and don’t produce harmful environmental runoff. That said, hydroponic systems require constant water quality testing to ensure that the solution remains suitable for growth. If a nutrient imbalance occurs, plants can perish at a rapid rate. To maintain the perfect pH value and nutrient levels to support plant growth, horticulturists must constantly monitor water quality and be able to make swift adjustments when necessary. To do so, they rely on inline meters to take continuous water quality measurements and relay data back to a central location for analysis. In most large-scale growing operations (where any water quality changes can represent a serious profit risk), inline meters are connected to dosing pumps to automatically adjust nutrient levels based on data feedback. In addition to using inline meters, many commercial operations will also conduct daily spot measurements to test different locations within a larger tank and verify the accuracy of automatic readings. These spot checks can be taken at the hydroponic vessel using a portable meter or pH tester, or samples may be collected for testing in a facility laboratory with the help of a benchtop meter. For the best results, all portable and benchtop meters must be paired with specialized electrode probes. The most common type of water quality instruments used in hydroponics are electrical conductivity (EC), pH, and dissolved oxygen (DO) meters. EC meters emit an electrical current, which passes through the electrode probe into the solution to determine the level of nutrients or other impurities that are present, expressed in parts per million (ppm). Using the same method, pH meters measure the amount of hydrogen ions (H+) and hydroxyl ions (OH-) present in a solution to determine its overall acidity. Because pH meters provide numeric pH readings and typically have automatic temperature compensation (ATC), they are more precise and reliable than litmus paper—especially for large-scale commercial operations. If the nutrient solution becomes too acidic or too basic, plants can die off within hours. Oxygen is a key element required for plant growth, but harvesting oxygen from the air can be difficult for a plant in an enclosed hydroponic system. To solve this problem, commercial hydroponic growers use underwater pipes to force air into the solution or opt for a continuous-flow system in which the plant’s roots are only partially submerged. To ensure that the roots are getting enough oxygen, growers will use DO meters to measure the amount of dissolved oxygen in the nutrient solution and adjust accordingly. 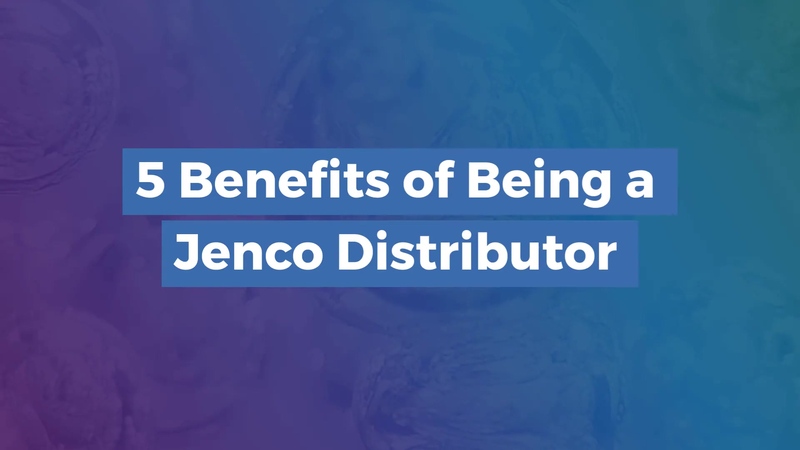 To learn more about the best water quality instruments for hydroponic systems and the benefits of becoming a Jenco distributor, follow the link below.